Today’s Roundup includes a range of book marketing tips from industry experts. I hope you enjoy the selection. Why a Newsletter is a Marketing Must and How to Double the Number of Readers You Get by The Future of Ink: Electronic newsletters have been around for as long as I’ve been in business; prior to that, I can remember getting them in the mail. Newsletters seem very 1990’s don’t they? How to Promote Yourself and Your Books on Social Media by Terrible Minds: In my experience, most authors dislike self-promotion. Some downright despise it. And they detest it for good reason: becoming a marketing or advertising avatar for your own work feels shameless. It feels adjacent to the work — like it’s something you didn’t sign on for. 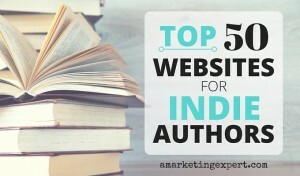 5 Creative Ways to Market Your Book by Author Marketing Experts, Inc.: Are you ready to take your exposure and your book sales up a notch? 5 Tips From a Bestselling Author (and Former Luddite) on Overcoming Blog Phobia by Problogger: There’s no such term as “blog phobia” as far as I know, but the condition is very real, I assure you. 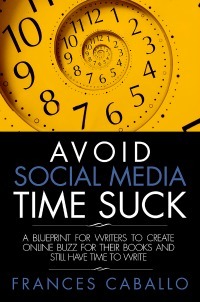 I know authors who quake at the mention of blogging, as I once did before I got a handle on it. My professional writing career began in an era when authors were expected to do only one thing: write a kickass book. And maybe go on tour if there was a marketing budget for said book. My first novel,Garden of Lies, was a New York Times bestseller and my publisher sent me on a cross-country tour that was a blur of TV appearances, print and radio interviews, and book signings.